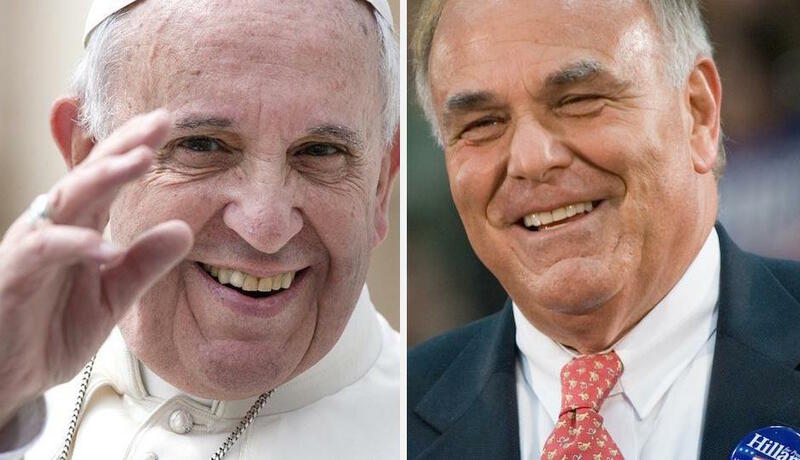 Ed Rendell: Philly Pope Fence "Boggles the Mind"
"I think if the pope knew what was going on, he would be aghast." By Joel Mathis·	 8/19/2015, 11:44 a.m. The much-discussed fence will be built to surround Benjamin Franklin Parkway and parts of Old City where Pope Francis is scheduled to appear. Additionally, the Benjamin Franklin Bridge will be closed much of the weekend — meaning that many visitors, including the elderly, will be expected to walk miles to have a chance of seeing the pope. “I think if the pope knew what was going on, that seniors are going to be asked if you live in New Jersey to walk four or five miles across the Ben Franklin Bridge up to the Parkway, I think the pope would be aghast,” Rendell said. But Rendell held out hope that the actual visit will go well.